Do you love mangoes as much as I do? I am back once again with a recipe that includes mango as a main ingredient. Since mango season is almost over, I didn't want to miss the chance to make this Mango Mastani which I have heard about a lot. Mastani is a specialty of Pune and it comes in different flavors as per my research on the net. This drink is named after a beautiful muslim warrior princess Mastani who needed help to save her kingdom and Bajirao helped her and later on fell in love with her. There was also Bollywood movie based on their love story, the name of the movie was Bajirao Mastani. I haven't had mangoes like we used to get it back home specially the alphonso mangoes. None of the mangoes we get in US comes close to the taste of the mangoes we get in India. 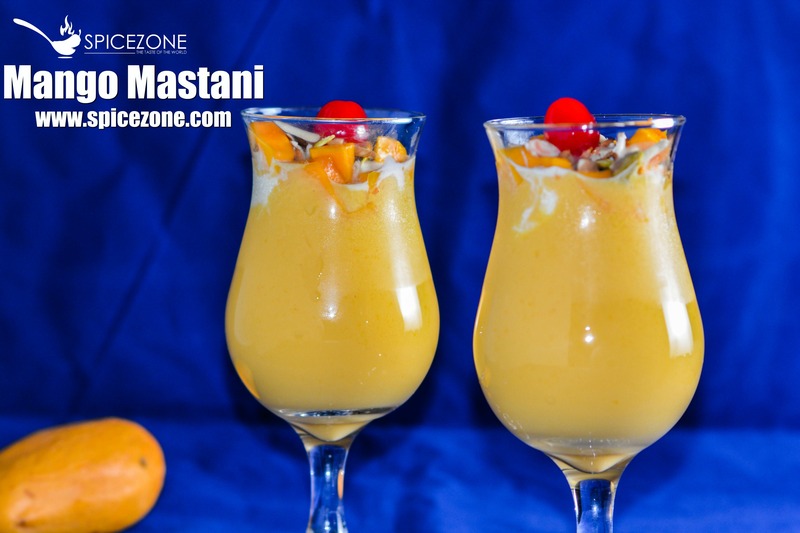 Mango Mastani is a very easy drink/dessert made with mango, milk, ice cream and nuts. A little on the heavier side so don't eat too much other wise you won't be able to enjoy it fully. My daughter and my husband both have a sweet tooth. So after dinner, what is for dessert? I am like nothing but they wanted something. I had pretty much everything to make this delicious and creamy dessert to satisfy their sweet tooth. Why do I like this drink/dessert recipe? 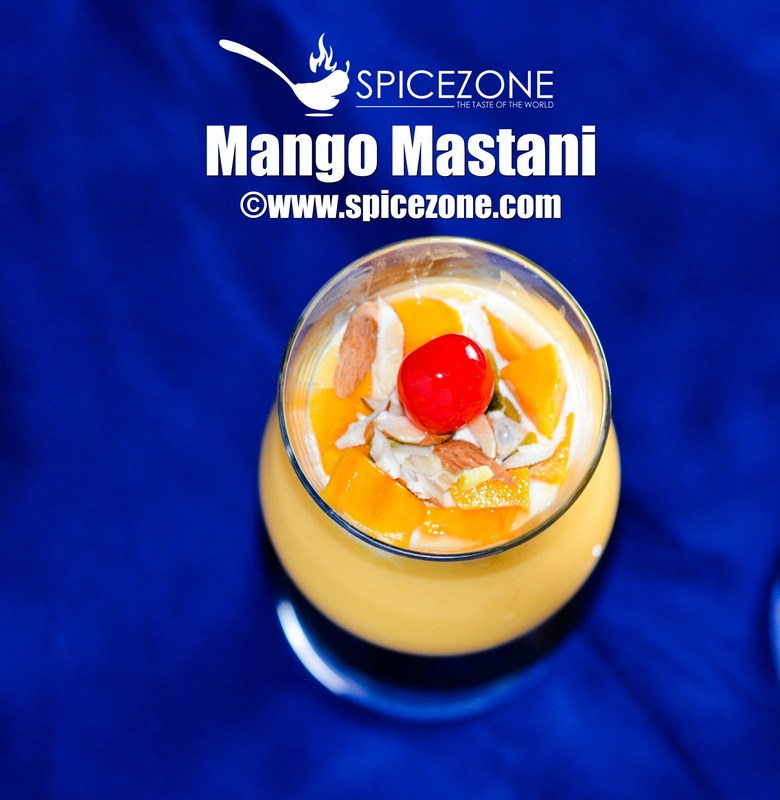 Mango Mastani- a thick mango drink/dessert for you all mango lovers out there with the goodness of vanilla icecream and choice of nuts. In a blender, add milk, water and chopped mangoes. Add ice and blend it well. Make sure that the shake is thick, so you can add a little bit of ice-cream to it. 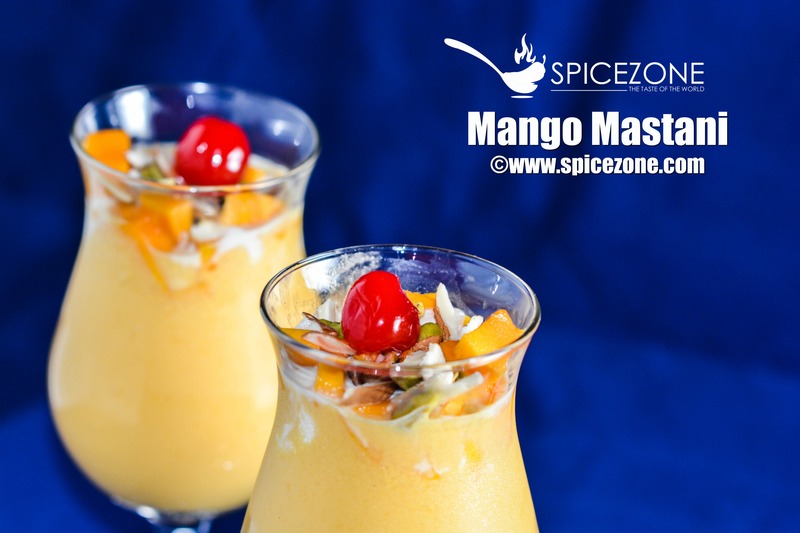 Once the mango shake is ready, pour it into your choice of glass leaving a quarter of the glass empty. Now add a big scoop of vanilla ice-cream and garnish with your choice of nuts and a cherry. Serve it right away before the ice-cream melts. If you like the recipe, please comment below after you give it a try and share it on Facebook. Would like to hear from you. Your comments, likes, dislikes, matters to me.